Robert Goodwill, MP for Scarborough and Whitby has been appointed the new early years and childcare minister. He will also take on the brief as minister for children and families, a position previously held by Edward Timpson. 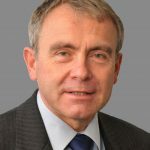 Robert Goodwill has previously served as Minister of State for Immigration and Minister of State for Transport.